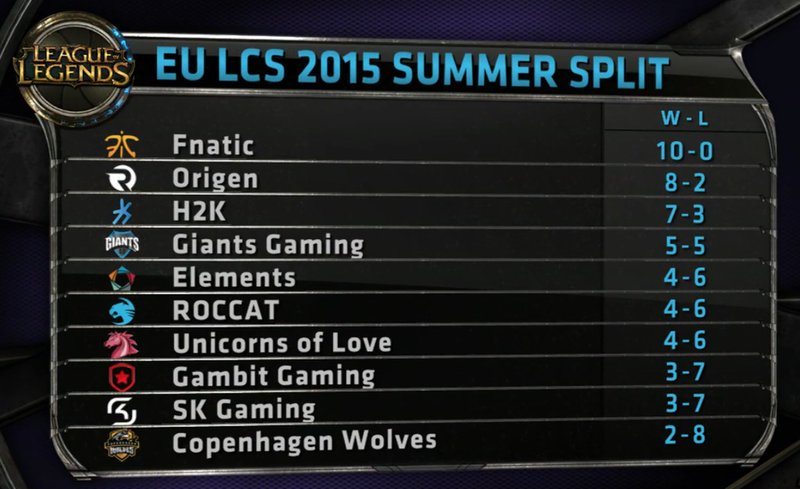 We've hit the halfway point of the Summer Split, we're back with another edition of This Week in eSports! 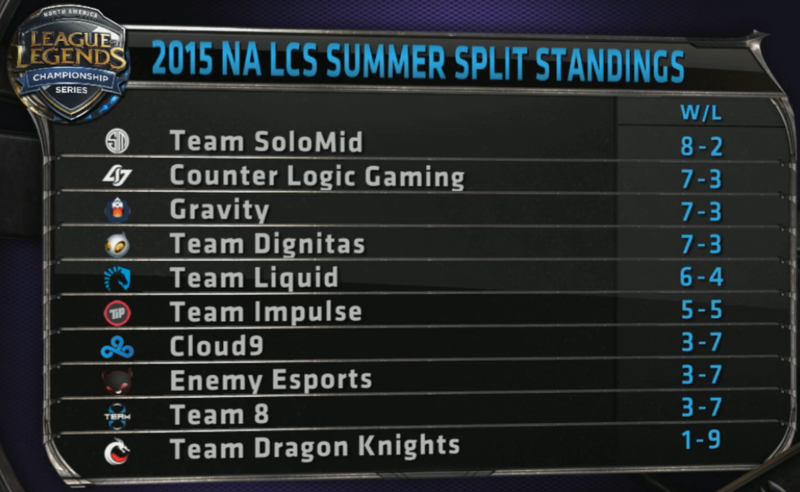 Continue reading for LCS Summer Split standings following week 5, current standings for various regional leagues. team/player news, and more! Every week we track the regions leagues that will be directly seeding into the 2015 World Championship later this year. The brackets and standings below are up to date as of Sunday, June 28th and, as always, VODs can be found here. The second entry in Riot's new DRIVE series is up and it features Christian "IWillDominate" Rivera. More information on IWillDominate and the DRIVE series can be found here. Check back in the following weeks for similar features on Quas, Pobelter, and Sneaky! Youngbuck has made a statement announcing that he is leaving the Copenhagen Wolves. Airwalks has also left the Copenhagen Wolves. Ilyas "Shook" Hartsema. will be replacing him as starting jungler. Unlimited made a statement announcing that he also planning on stepping down from the Copenhagen Wolves. Nyph is back to starting support on Elements, promisQ has moved to sub. KeithMcBrief, current sub of Team Liquid, will be trying out for Team Solomid as AD Carry and splitting scrims with Wildturtle. A video on the announcement can be found here. Riot has issued a competitive ruling on Chris Badawi, the current part-owner of NA LCS team TDK and of the NACS team Renegades. "Chris Badawi, current part-owner of LCS team Team Dragon Knights (TDK) and CS team Renegades (RNG), solicited a player under contract with Team Liquid to join his team. After doing so he was notified by Team Liquid’s owner and LCS officials that soliciting LCS players under contract was a violation of league tampering rules and could disqualify him for consideration as an owner, coach, or player. Despite the warning, he again tampered with another Team Liquid player shortly thereafter. Due to this pattern of willful tampering, we are declining to certify Chris Badawi as an eligible LCS owner and issuing a one-year ban on him holding any officially recognized LCS team position (i.e. owner, coach, manager). In order for TDK and RNG to be eligible to play in the LCS next season, Chris will have to divest his ownership stake in both teams." MonteCristo, Renegades co-owner, response via RNG website. Chris Badawi's response via reddit. RiotNickAllen's response to MonteCristo's statements via reddit.